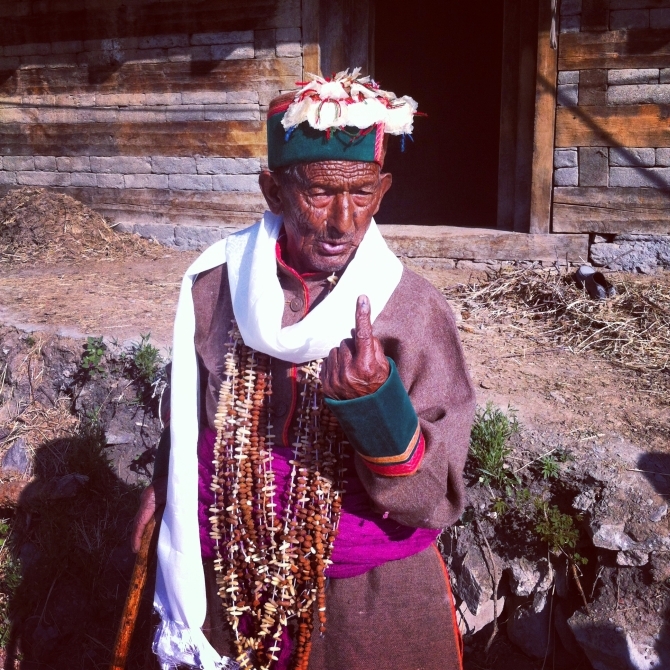 A group of photographers documented the recently concluded elections in the most fascinating way possible. 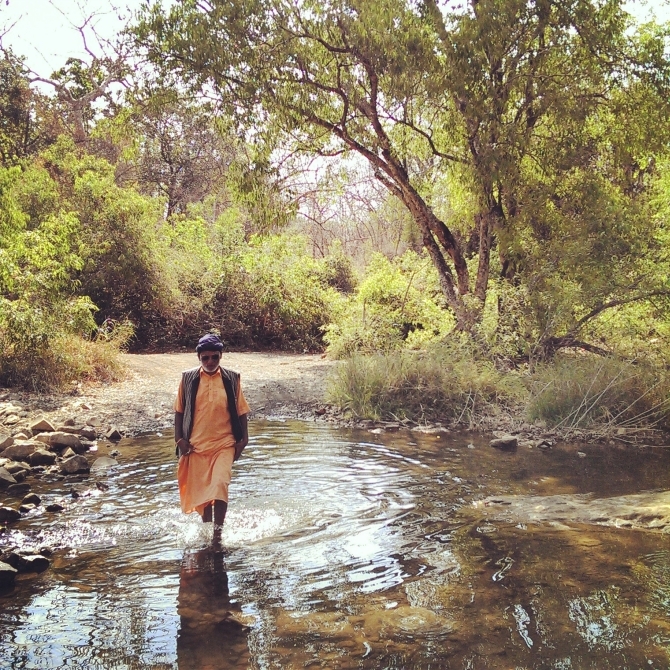 Ritesh Uttamchandani retraces the Instagram journey. In the blistering summer of 2014, India ventured into yet another hunt for a leader of its people. The longest elections the country was to witness, drafted to happen over 9 phases spread across a long month carved out of the last three weeks of April and the first fortnight of May, has come to an end. An often repeated cliché during this month has been the sheer numbers involved in the electoral process. 815 million voters spread across 28 states and seven union territories will be governed by a Bharatiya Janata Party cadre of cabinet ministers and they will all report to the supreme commander, hopefully our Prime Minister for the next five years, Narendra Modi. This month of electioneering, besides the voting public, woke up a giant army of reporters and photographers. Like old moth-eaten files, sitting inside steel cabinets in a government office, opened to a long lost memo for its five yearly review, these men and women trekked to far flung corners of the country, looking for that elusive story that goes on to become the ‘story most shared or read during the elections’, the ultimate exclusive story of the season. Irrespective of their highly toned skill sets, the reports and photographs however remained largely flat. The fault probably lies in the process, and sometimes, to one’s individual political leanings. The usual trailing of candidates, the quickfire reports to catch deadlines, the reliance on eye-catching dramatic visuals sets off an intrigue at first , but is soon followed by ennui amongst readers during the first week itself. If one were to analyse, some of the best journalism during this month didn’t come from mainstream Indian news outlets. It either surfaced in independent smaller news outlets or through foreign correspondents in their respective publications. A large swathe of the journalism did get subdued or hidden from the public eye, partly, also due to the funding channels of media houses where huge stakes are owned by some politicians themselves. Our entire political campaign process too singularly lacks vision. There isn’t a single effort where the top contenders come together on a platform for a debate, on developmental issues, plans, policies, their agendas and manifestos. The culture of rallies and roadshows, where a candidate on a pedestal is mostly talking by himself, to himself, for himself, has no room of any dialogue with the very people whose vote he/she wants. Try sitting through a speech of this caliber. It eventually amounts to a muscle-flexing competition at best, with a few traffic jams thrown in, accompanied by a juvenile circle of mudslinging, where a candidate, from six feet high above the ground, accuses another of immorality and digs out other irrelevant ghosts from their pasts. Making an informed, reasonably good choice in such political weather is a ‘ginormous’ (giant + enormous) task for any voter. It is also wrong to expect the younger lot to sit through campaigning of this sort. Why would any 18-year-old in a city put himself through a hate-filled speech by a politician, when he can easily surf the net and find something more entertaining like 13 destinations you must visit in India before you die! A newly launched webzine by the name of Scroll chose to break a few barriers in political reportage. It sent off one of its reporters, Supriya Sharma, on a pan-India journey, from Guwahati to Kashmir, hopping trains and buses, looking for election stories. Stories of people and their choices, their lives, their candidates, their hopes, desires, expectations and the way they live. Samir Patil, the founder, wanted to do something similar on the visuals front too. He thought of putting together an Instagram feed wherein a core team of photographers would document the elections with their phones. A few phone calls later and having missed the first two phases of the polls, the feed was launched. The initial curatorial approach was that of flooding the feed with images of all kinds, shot by phones or 400mm lenses mounted on bulky DSLRs. The feed, like most of its contributors was yet to find its own voice. It had a rather cluttered feel to it, like a wire service whose archivist was on a permanent leave of absence, but everyone knew and believed that we were onto something exceptional and if I may take the liberty to say so, original! Towards the end of the first week, the spectacular images, if any, were getting buried since we didn’t have a clear curatorial plan in place. In the middle of all this, while we were yet to find our own footing, came a few nasty posts on social media by photographers, poking fun and reducing our efforts to “frivolous pics by trend-aping time wasters.” It felt rather silly, that one would ridicule someone’s choice of medium. There’s also no real bravado in kicking down a toddler who is trying to learn how to walk. For every good thing to happen, there is usually an influence of a strong negative and opposing force. These posts and the snide remarks speak volumes about the current nature and maturity of the Indian photojournalism scene. 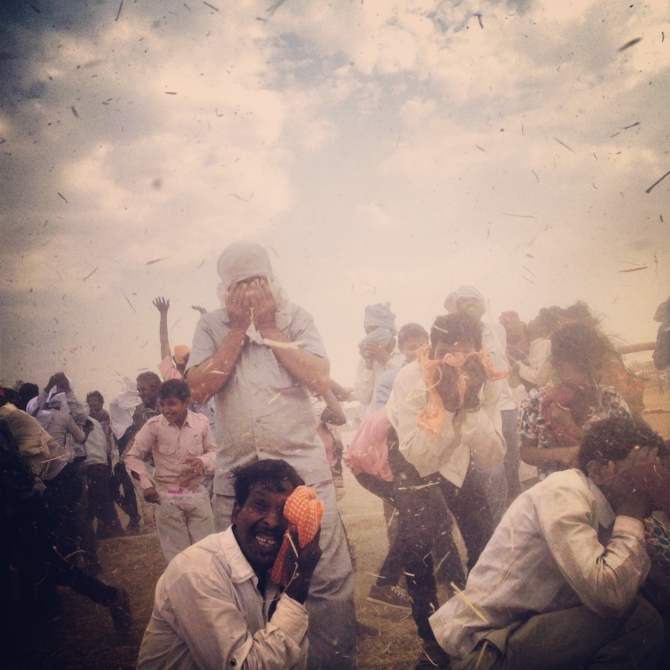 Judging by the scene worldwide, Indian photojournalism, for the rank outsider, still comes across as a profession twenty years behind its Western counterparts. Stalwarts like Raghu Rai too feel that “the distinct brown-eyed view is missing, and instead, the focus has shifted to catching up than carving one’s own road.” Two of the most aped photographers in the current documentary circuit happen to be Magnum’s Martin Parr and Antoine D’Agata, seconded only by the blatant referencing of the distinct Eastern European approach to imagery. The criticism served us a much needed wake-up call. We made a few phone calls to each other and decided it’s best to buckle up and find our way through the woods. Our calls were getting longer, the bills would eventually get higher and so, Harsha Vadlamani, one of the contributors came up with the simplest idea to communicate—a Whatsapp group. Starved for something new to do in this atmosphere of mundane, undemocratic ideas and archaic approaches to photojournalism, we restarted our journey. By the third conversation on the Whatsapp group, we realised we could use this as a space for not just communication but to do some quality and damage control. The culture of direct uploads to the feed was put to rest and photographers would now upload, say, 4 or 5 options from their shoots on the group. The group would take a vote, someone would draft a caption and I would upload the post from my end. We got tighter and the discussions got smarter. Sometimes photographers would message from their shoots, stuck in a particular situation and asking advice for a way out. Sometimes, they’d leave a message, wondering how to approach a particular event or concept. The group was now functioning as a virtual newsroom, minus the cubicles and chairs! Since we were using a different medium, and disseminating these photos over a different platform, we had to arrive at a radically different voice for them as well. That came from a photo I had shot during the Gujarat state elections of 2007. While working for the Hindustan Times, I was sent to cover Narendra Modi’s third bid at the Chief Minister’s position, a battle he won rather comfortably, much like his current win. I had a rather hard time since I was an outsider and had no accreditation for any of the campaigns and public meetings. I was always the photographer who would get either thrown out of the press pit or not be allowed at all. While skirting the periphery, I photographed a man offering a one-rupee coin to Modi as he departed from a rally. It is considered an act of good fortune if one offers currency in odd denominations to someone who is venturing out for something new and prestigious, a business deal or an exam and so on. This was going to be our theme. We would look around the periphery, keep the big faces out, and trail the smaller candidates and generate pictures that not just represent voting season but also simplify it for our consumers. Simply put, the feed could be explained as a circle, where a common tool is used for the documentation of a common exercise, the images recorded are disseminated over a commonly available platform and can be viewed by common folk over a common instrument, their phones! In the process, we began looking at things, not merely as photojournalists but as citizens too. Being in the midst of crowds and supporters can have that impact. 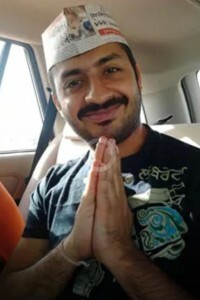 The discussions on the Whatsapp group evolved and we came to a few conclusions—no use of the blur filter, use of Instagram filters must be absolutely minimal and applied only if necessary, captions have to be detailed, subjects names must be taken, and in the absence of such details, no need to emphasise on their religion. Before I insisted on such things, our captions were quite half baked: “General scene outside polling station in Bihar” or “A Muslim man applauds at a rally” or some such nonsense. Religion is a private affair and we have no business highlighting someone’s private affair for the viewer. I doubt any of us would like to be in a photograph that is on display globally and it doesn’t mention our name, but our religion. Also, we consciously chose to leave out our individual political leanings. We sidestepped two photographers who wished to be part of the project purely because of their political leanings and their past record of using group projects for self promotion. One guy even went to the extent of ridiculing the feed while asking to be a part of it. As we progressed, we began to focus on smaller stories that could be featured on the feed as Instastories, or 4–5 image photo stories. We did one on the almost death of the Communist Party in Kolkata by Soumya Sankar Bose, one on the only voter in Gir Forest, shot by Shiv Kiran, one more on India’s first voter by Arkadripta Chakraborty and a few others. These were laid out also on Scroll.in’s homepage. I insisted that the photographers take help of a copy editor and put together the story themselves, an exercise not very common in our current scenario. Since we shot more from the sidelines, our photos, I feel, lack pretence. They are simple, yet layered. Take for example a photo of a Communist party leader addressing a small gathering in Hyderabad. 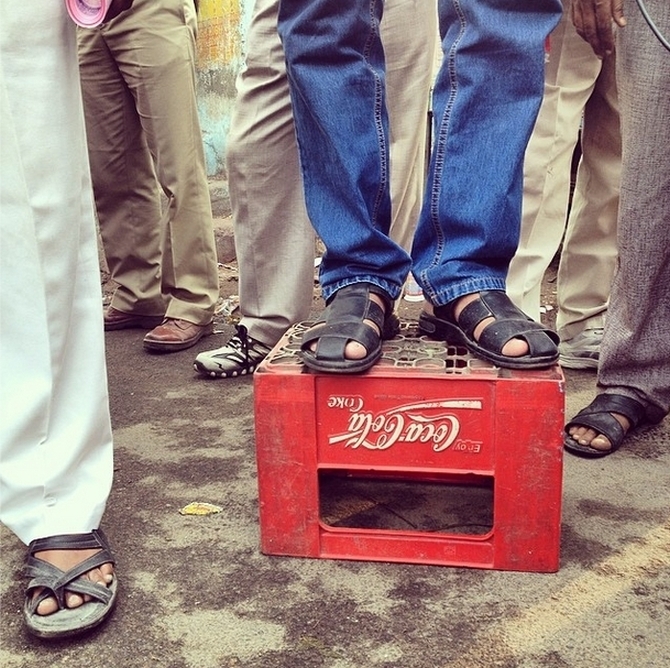 The photo is a collection of legs with our candidate standing atop an inverted Coca Cola crate. Viewers are free to deduce their own meanings. 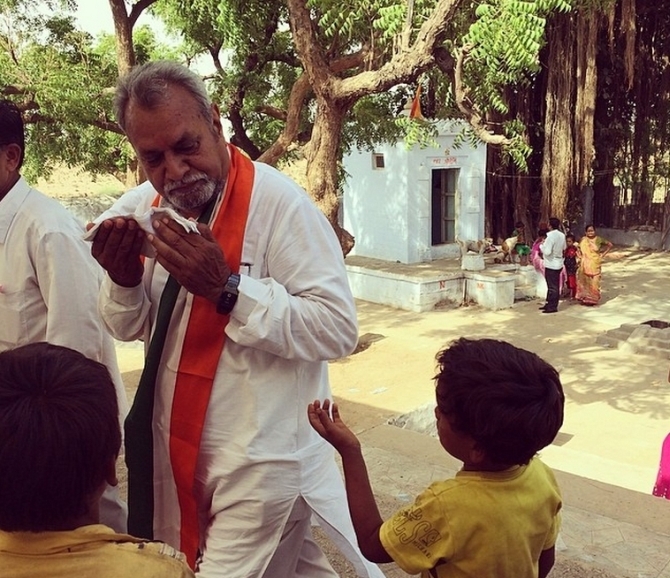 Or take the photo of a candidate departing from a temple in Bhuj, sweating in the 45 degree Celsius sun, wiping his face into a scowl, and glaring towards a child begging him for alms. The candidate, Dinesh Parmar, was himself seeking blessings and good fortune from a statue in a temple, a few seconds ago. It is these images that we were after for we feel they speak louder than a top angle shot of a road show packed with a few thousand supporters. Even in a road show, we turned our phones away from the main event. 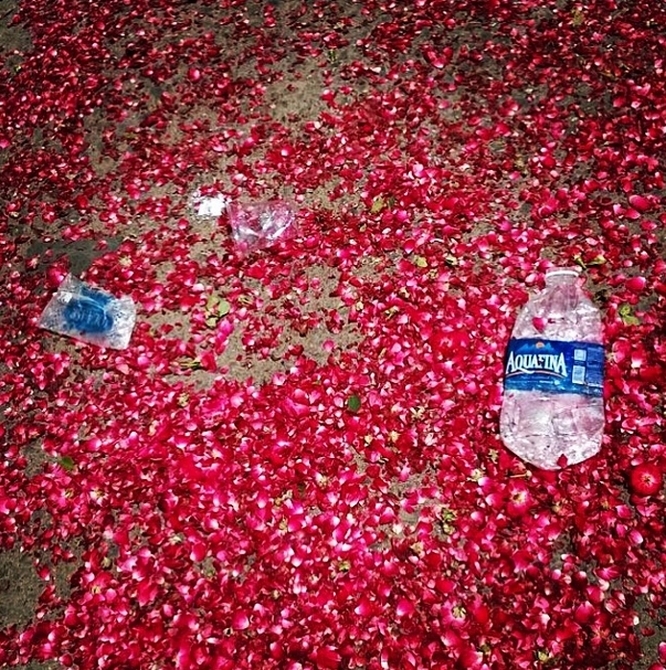 One such photo is of a street littered with crushed rose petals and flattened water bottles, the aftermath of a Narendra Modi rally in Varanasi. In the midst of all this, we were all juggling our day jobs too, which happen to be our first priorities. While we were generating new images every day, there was also an urgent need to plug a few visual holes, namely the places we missed or couldn’t find photographers. 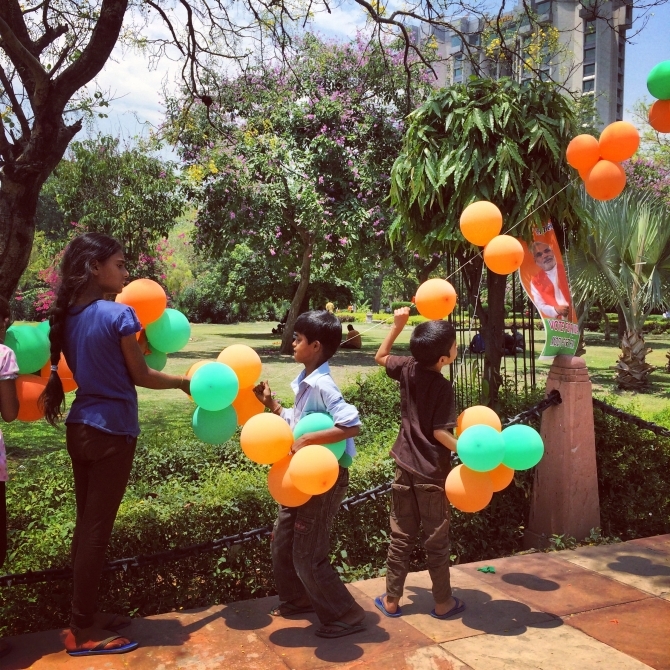 I began looking through instagram for images hashtagged with #election, #indiavotes and such, and procured quite a few such images by writing to the photographers. Had we begun earlier, I am pretty sure we would have had a photographer deputed in all states. Finding photographers who are eager and mildly versed with this medium was also a task. 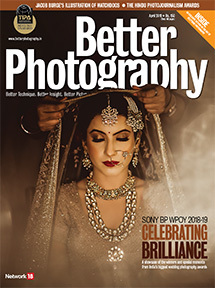 While the initial background work of setting up a few photographers in place was done by Prashanth Vishwanathan, the rest of the team came together bit by bit. It took a while to get hold of photographers in Kashmir, and convince them to junk the SLR and pick up the phone for us. Ravi Sahani, a veteran photojournalist didn’t need any convincing at all and nor did Javeed Shah. The rest of the established photojournalists didn’t feel necessary to respond to my emails or messages so we found absolute rookies. Finding women who would be willing to be part of this was far tougher than I thought and hopefully that will change over time. Also, besides Harsha, Ravi, Anand Singh, Javeed (all who came in much later) and I, no one had any experience of shooting an election or anything related to politics. I guess that’s the reason why the photos are so spectacular! In the last 20 days, we realised that the entire feed has come together using Facebook products, Instagram and Whatsapp. Most of us have not met each other, but we plan to change that soon. Personally, I feel we succeeded in providing an alternative to the visual understanding of the electoral process. An entire bouquet of images, culled from different sectors and landscapes of the nation, under one umbrella, freely available to be dissected, understood, appreciated or dissed by viewers worldwide. A brown-eyed vision of our country that is accessible to everyone, for free. 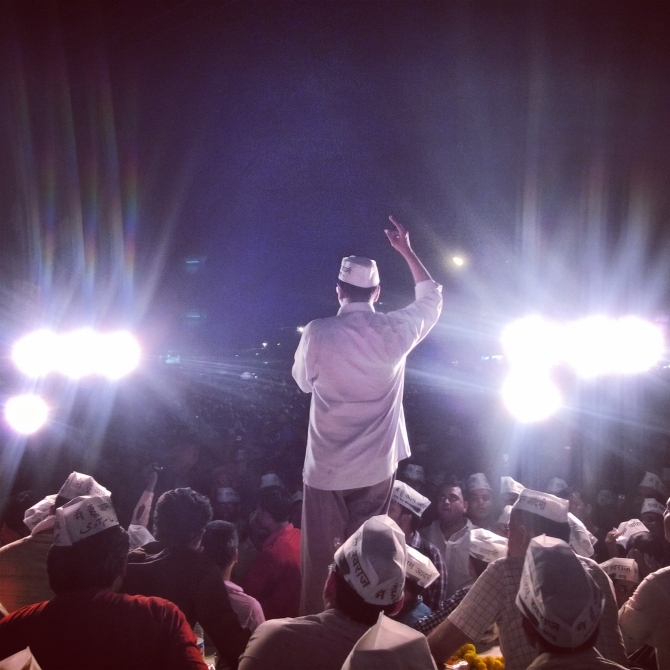 Before the elections voters and analysts believed that no matter what the outcome, Arvind Kejriwal’s Aam Aadmi Party had definitely had a massive impact on the people, in creating an atmosphere of accountability and change, or just making people more politically aware. Elections and politics in India may never be the same again. I hope our pictures have had a similar impact, but it is best we let our viewers decide. It’s a democracy, after all! 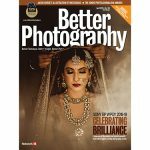 Ritesh Uttamchandani is a photojournalist based in Mumbai. Visual nuances, untold stories and travel are the themes that often dominate his work. If you are seeing this on the computer, you can click over here.